Designed especially for future performance dogs, this class promotes the development of physical and mental skills, helps puppies to learn how to learn, how to use their mind and bodies, builds great body awareness, balance and strength. But it's not only beneficial for puppies, but also for active agility dogs or retired dogs to keep them busy, fit and young. Next class will start on June 4th, with registration opening on May 15. 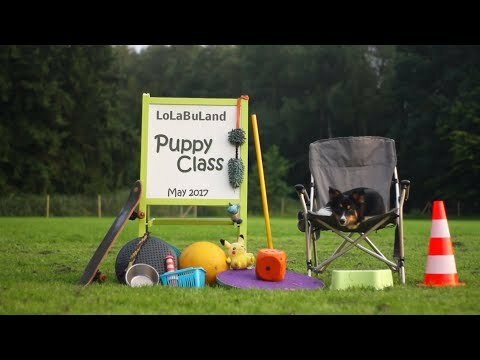 Puppy Diary video is a must-watch before the class, so if you don't have it yet, choose the first option and you will get a link to a download after payment. If you have it already, choose the 2nd option. The 3rd option is for auditors, repeaters (who took this class with the same dog before) and those doing the same class with 2 dogs at the time. Hi Silvia, Maybe I’ll get to do this class. Between family health issues and myy last puppy had a tragic accident and passing away I didn’t get to do the last class I signed up for, fingers crossed I can do this one!! Oh no, I’m sooo sorry to hear this… -- I was wondering why you stopped posting as Risk was doing sooo well… -- I had no idea 🙁 So so sorry for your loss -- but glad you found a new puppy! Yes, I always do 🙂 The links are sent manually, so it can take a bit -- somewhere from 1min to 12 hours. Is it still possible to join? What’s the syllabus? Yes, no problem to still join, we’re still at lesson 1! Puppy Diary DVD is all you need! Hi Silvia , is it possible to join the puppy class that started on November 1st ? I got a puppy over the weekend . If there isn’t any room left , I understand . Yay, congratulations on your new puppy!!! No problem to still join! I did this class with Christel last year. We reached the lesson where Christel should put one cup into an other, there we failed completely. It still doesn’t work until today. Do you think we should repeat this class, or can we start with the foundation class?I don’t think that Christel will ever check out what to do with these cups, she only throws them in my direction, but never got that she has to put one in an other. Repeat or go further? This trick is of course not important for agility as such, so you can certainly start with foundations regardless! It’s a cool thinking trick though that can be broken down nicely, so just make it easier until she figures it out!